Recording a pioneering initiative in Sri Lanka’s exports history, the country is moving to set up the first-ever national level mechanism to overcome a daunting modern global trade issue it faces – sanitary and phytosanitary compliance (essentially export quarantining and other technical barriers). “The Department of Commerce is ready to set up a ‘National Committee on SPS and TBT’ to overcome our export compliance issues, especially Sanitary and Phytosanitary and Technical Barriers to Trade. I thank the WTO for their valuable and ongoing support to Sri Lanka,” said Minister of Industry and Commerce Rishad Bathiudeen addressing the press yesterday at the Taj Samudra. The press conference was held following the inauguration of the pioneering Colombo info session by the Department of Commerce with WTO experts for Lankan exporters, compliance officials and specialists on Sanitary and Phytosanitary and Technical Barriers to Trade (SPS and TBT). WTO Economic Affairs Officer Roshan Khan and WTO Trade and Environment Counsellor Erik Wijkstrom (who are attending the three-day session that concludes on 22 February) will brief the DoC further on setting up the new mechanism and SPS and TBT way forward. “I am pleased that this SPS info series launched by the Ministry with two WTO experts in September 2014 has today grown to include a bigger number of experts and SPS subject officials in Sri Lanka. 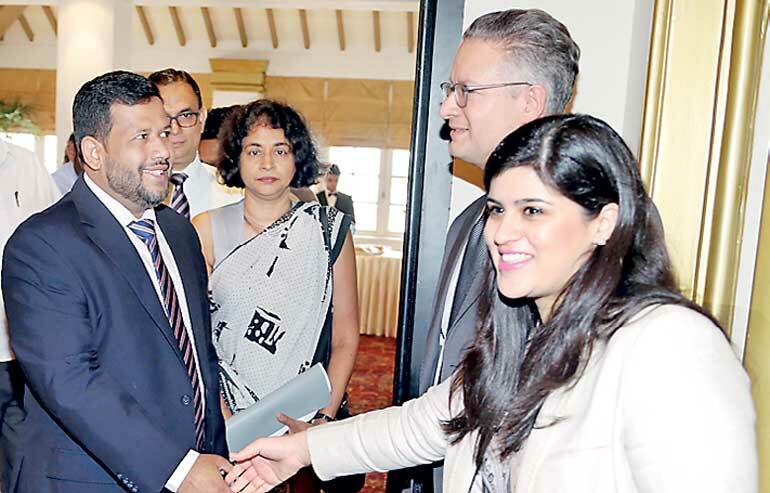 On behalf of Sri Lanka’s trade sector I thank the WTO for their valuable and ongoing support to us,” said Bathiudeen. Noting that the Government had embarked on a new journey of accelerated economic development activities, he said it was looking for new FTAs and that currently FTAs were being negotiated with China and Singapore and the present FTA with India too could be expanded for which talks are ongoing. According to the DoC, the newly-planned SPS and TBT Committee under the Department of Commerce is a high-level cross-functional mechanism with 14 institutions (ministries and specialised Government institutions including the Agriculture Ministry, Customs, Quarantine Department, the Import Export Department, etc.) getting involved. Once primary official set up processes are cleared, the Committee is scheduled to start its work by or before mid-2017. Around 22% of Sri Lanka’s annual exports are agricultural, at $ 2.5 b.